Potato varieties’ GI level correlates to the physical and molecular structure of their starch content. No direct correlation exists between a potato’s total starch content and its GI characteristics. Potatoes are naturally gluten free. Consuming Carisma™ potatoes prepared according to directions* results in a lower glycemic response after a meal compared to the same amount of a standard** potato. Carisma™ also offers a consistently good eating experience and is perfect boiled, mashed or baked. Its great taste and creamy texture are ideal for appetizers, soups, cold salads, warm sides and even baked crisps. One medium (150g) Carisma™ potato contains just 70 calories, while providing 15g of carbohydrates, 3 grams of fibre and 3 grams of protein. 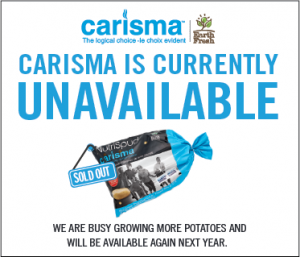 Carisma™ potatoes are also a source of vitamin C, with a 150g potato providing 20% of our daily requirement. Wash the potatoes leaving their skins on. Cut the potatoes into 1 cm-thick slices. Place the sliced potatoes into hot (not boiling) water, and then bring to a boil. Cook for approximately 4 minutes or until the potatoes are firm but cooked through. These can be used for warm side dishes and cold salads. The Carisma™ is also perfect for baking. Cooling then reheating potatoes prior to serving can further reduce their GI characteristics. 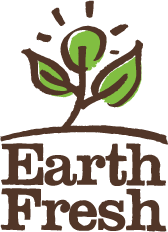 **Standard potatoes are the Russet Burbank variety – which provide 31g of carbohydrates, as the Canadian Nutrient File – Health Canada.